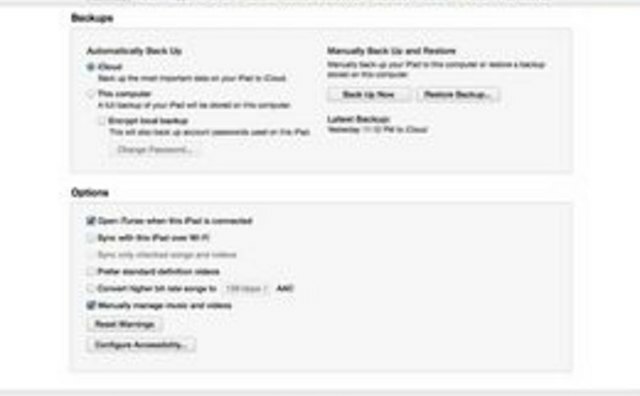 When connected to a laptop or desktop computer, the iPad will automatically sync with the iTunes library on your computer, or you can change the configuration settings for manual media synchronization. 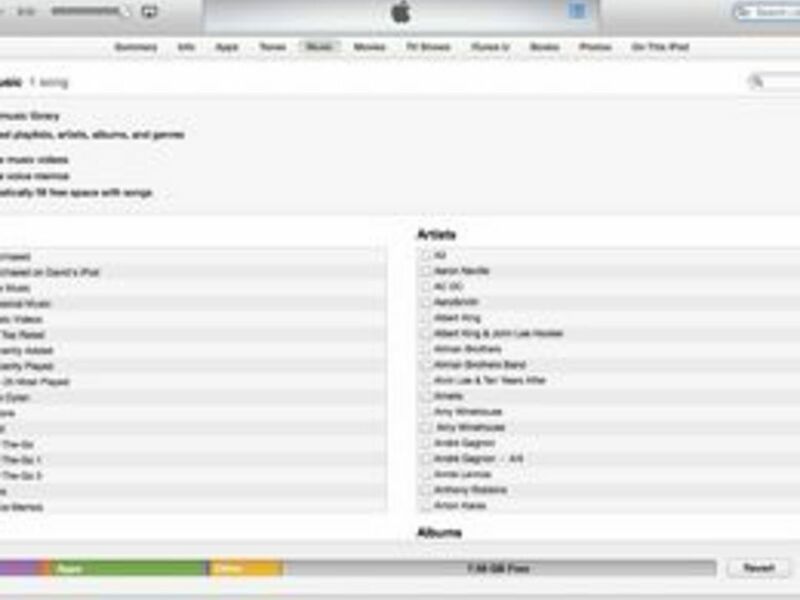 After the synchronization is complete, your music is stored in the iPod application on the iPad. 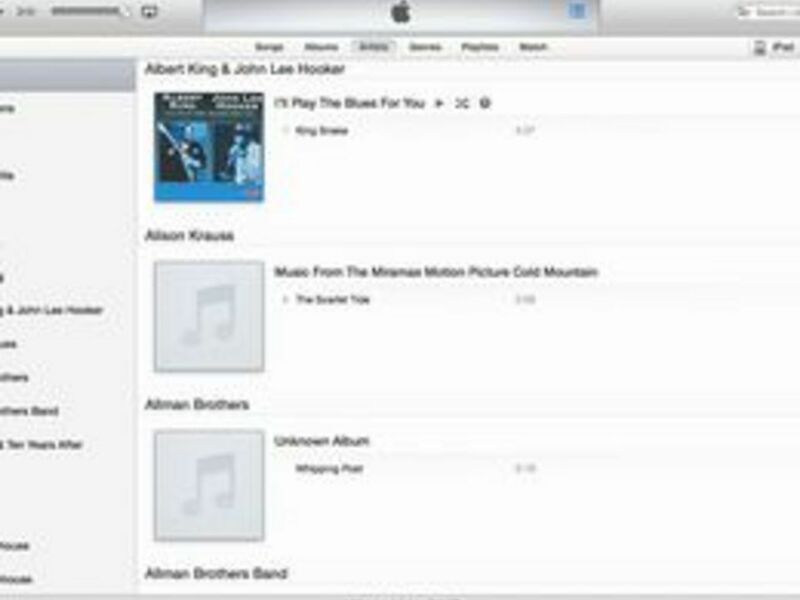 In addition to adding music from your computer, you can also purchase music directly from the iTunes Store through the iTunes application on the iPad. 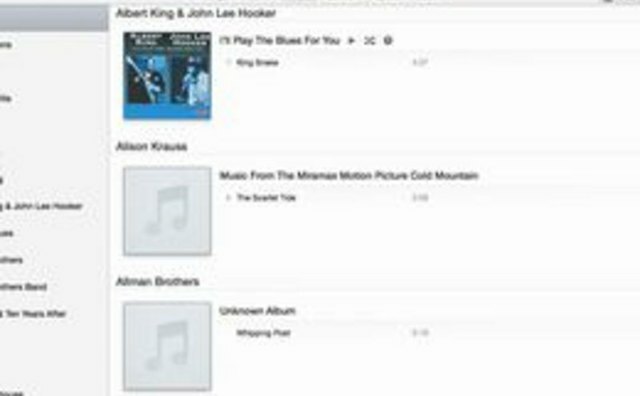 Click the "iPad" button in the iTunes window and then click the "Music" tab. 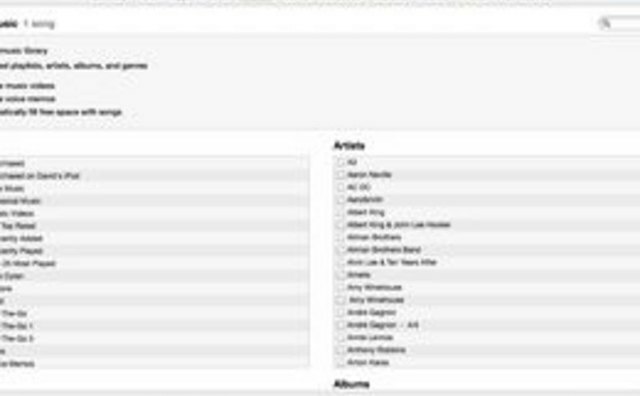 Click the "Apply" button at the bottom of the iTunes window. 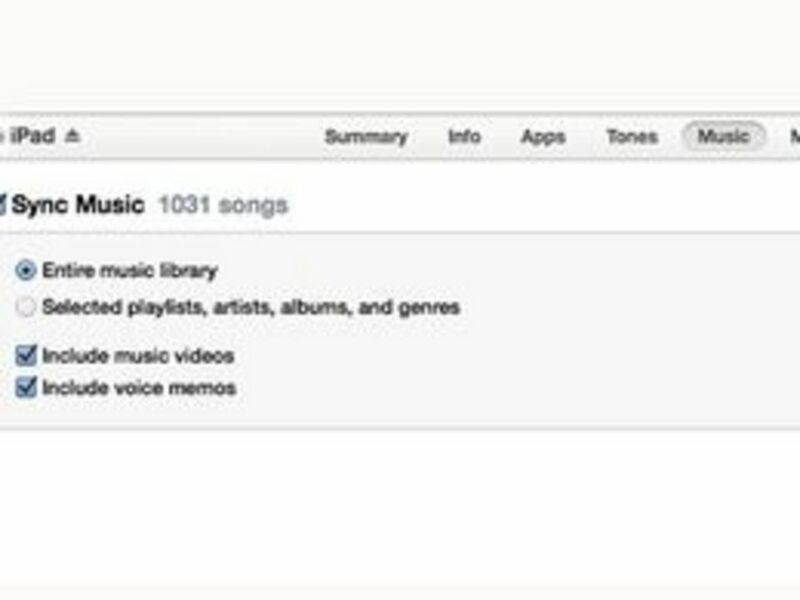 Click the "Eject" button in the upper left corner when synchronization is complete. 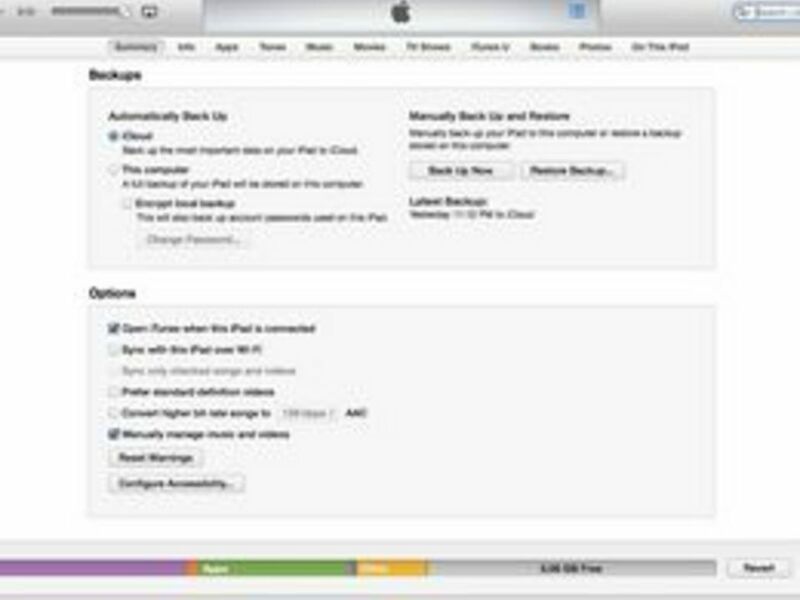 Unplug the iPad from the computer. 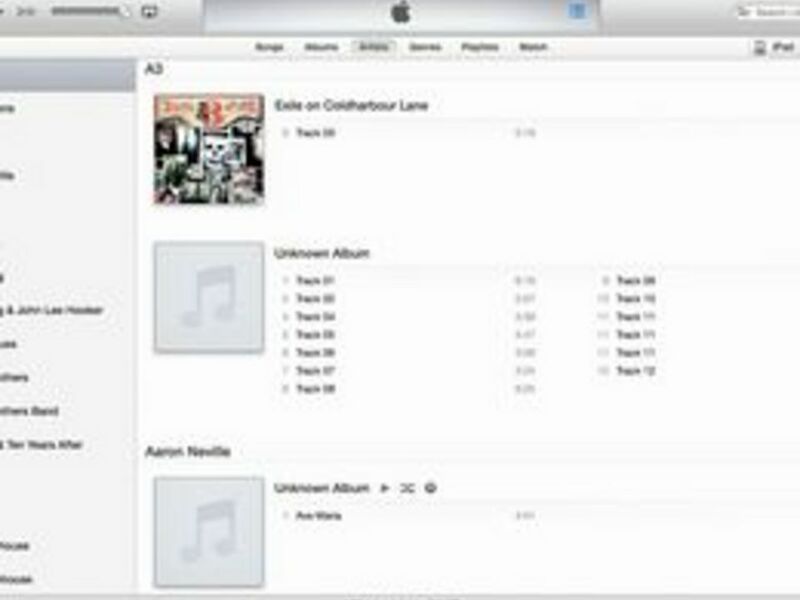 Click the "iPad" button in the upper right corner of iTunes and click the "Summary" tab in the main iTunes window. 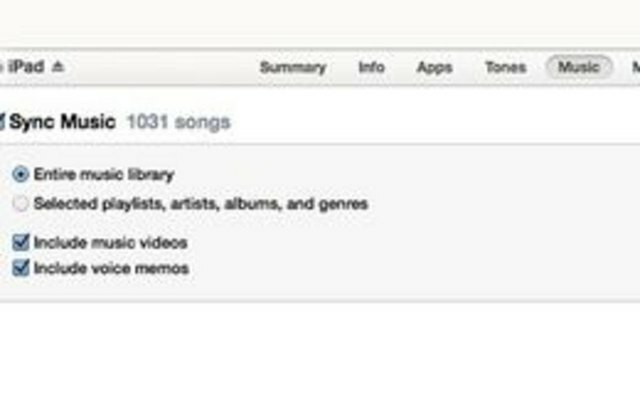 Click the "Music" tab and then select then select the songs, artists, albums or playlists you want to add by clicking the appropriate check boxes. Click the "Apply" button. 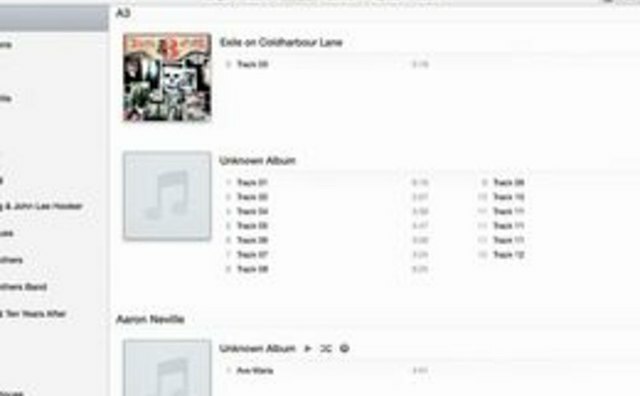 Click the "Eject" icon next to the iPad button in iTunes after the music transfer completes.